Did anyone meet him while astral projecting? Whoever beliefs the above, may experience it in any reality. Those who don't, will not. He is by common sense a masculine figure, a fallen angel from the heavens but I don't believe this crap. This website http://adf.ly/1eHkAu claims that he exists and that he's indeed our true creator! What should I believe? I'm super confused! People are making claims all over the world and many of them believe their claim to be the ultimate truth. Why should I give more credence to them than I do to my own intuition? I'm really not interested in looking at paid to click url shortened websites. I come here to discuss things and learn. fatfooty, that link you gave goes to download that looks very fishy to me. Why don't you just quickly summarize a few of the key points? To say you don't believe in Satan is like saying you don't believe in gravity. Satan is just an anthropomorphized version of a naturally occurring force that is pervasive throughout creation. Satan (Hebrew: שָּׂטָן‎‎ satan, meaning "enemy" or "adversary"; Arabic: شيطان‎‎ shaitan, meaning; "astray", "distant", or sometimes "devil") is a figure appearing in the texts of the Abrahamic religions who brings evil and temptation, and is known as the deceiver who leads humanity astray. Many people find opposition to be scary and being led astray to be evil, thus these characteristics are ascribed to him. That link works, you just need to wait 5 sec and click the skip button that should appear on top of the page. I guess many won't click on your links because they indeed look fishy. On topic: I agree with Robert. It's a kind of energy / force or whatever you label it as part of and in our dualistic (good/bad, hot/cold, ying-yang) dimension we are in. I think Satan is just a metaphor for an aspect of consciousness. It is very similar, if not identical to the concept of the Jedi and the Sith. They are disciplines, ways of life, a set of decisions. So why personify Satan? Two reasons, early humans were nigh incapable of entertaining abstract concepts, this mindset has been studied and was still prevalent as little as 50 years ago. Satan as a concrete individual hiding behind the curtain was the only way to get people to comprehend the topic. 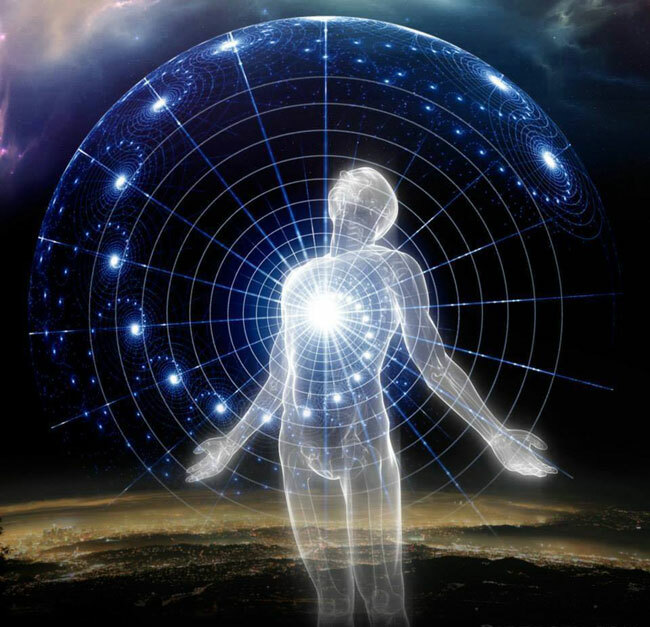 The second reason is that most people in this reality are extroverts - they derive inspiration and their energy from beings they perceive as being outside of themselves. For this reason it is necessary to view concepts like God or Satan as being real individuals to act as a source of external motivation. Look at how often people thank God for things they have achieved by their own merit. It also makes it easier to write off negativity as an external influence to be ignored. As an introvert I experience everything as being driven from within. It is a different way / perspective on taking control of consciousness. Maybe there really are some dimensional entities that exhibit these traits - the idea that they talk to us seems like a stretch - every thought that enters your mind will have some predication on the experience you have had thus far, or it is outside your frame of reference. I don't think it is possible to have external influence of this kind - that includes spirit guides too. I get communication from "guides" constantly but I believe it is 100% me. Why is this thread in this Sub-Forum? It has nothing to do with Astral Projection or Out of Body Experiences? I agree fully with Nameless "People are making claims all over the world and many of them believe their claim to be the ultimate truth. Why should I give more credence to them than I do to my own intuition?" My intuition has always told me that Satan is a control mechanism that was created by the Church to control others by "fear". I will stick with that belief until I am "proven" wrong, however long that shall take! "My intuition has always told me that Satan is a control mechanism that was created by the Church to control others by "fear". I will stick with that belief until I am "proven" wrong, however long that shall take!" Interestingly enough Lumaza I also feel this way about God. What does your intuition tell you about 'gravity'? What does you intuition tell you about the ubiquitous and inevitable 'adversary' and 'deceiver' that presents itself constantly? What "Church" are you talking about? Islam? Catholic/Christian? Hebrew? Buddhist? Hindu? Taoist? Shamanist/tribal? All I can tell you Robert is that I used to believe in these things. But not only what I was told, but also what I have seen with my own eyes in the "Otherworlds", is that there is nothing to "fear". Things happen the way they should. My feelings abut God with a big G, are that yes there is a source of all, but the one that Humanity talks about, that created this world would be known more as little g or also known as the "others", with a plural. That is not to disrespect them because creating a whole Universe is quite a feat in itself. One that Mankind has a chance to learn to do one day as long as they don't blow themselves up first. You can see those believes shared in Shamanism, in Hinduism (Vedas), Buddhism, Ancient Egyptian religion, even the Bible. But what was being witnessed was misinterpreted for what it really was. My feelings abut God with a big D are that yes there is a source of all, but the one that Humanity talks about, that created this world would be known more as little g or also known as the "others", with a plural. That is not to disrespect them because creating a whole Universe is quite a feat in itself. One that Mankind has a chance to learn to do one day as long as they don't blow themselves up first. I don't know what "god" you think you are talking about with respect to *humanity* but I know that well over a BILLION Christians of one faith believe that "God" is the "Creator of Heaven and Earth". Do you really think that Mankind has a chance to learn to create a whole Universe one day? (I don't). *FEAR* is far and away the primary motivation that people act on. Lust and greed get dishonorable mention as well. Some Pollyanna types pay lip service to "love" but it is obvious that they are mostly delusional and wallowing in wishful thinking. Hmm. I can live with your belief Robert, as long as you don't preach it to me. Why can't you live with mine? There's the problem with Religion in a nut shell. So much angst caused by who's right and who's wrong. It doesn't bother me in the least what someone else believes, unless of course they are attempting to preach it to me. While were at it, let's talk about Politics too. That seems to be another "hot button" topic. Please no! I am pretty sure that I can live with your religion, whatever that might be, just going on what you said above.... Plus, you do not even know what my "belief" is... so how do you know you can live with it? Just because I asked you to clarify a comment you made about some "Church" does not mean I can't live with your belief... I just want to better understand whatever it was you were trying to say, since the way you stated it was very ambiguous. Religion and politics are closely linked and they only seem to be "hot buttons" for those who hold very strong and definite opinions on those topics but can't even begin to articulate how or why they think the way they do. It unnerves them no end to have to explain themselves. (Because if they try, they are forced to come to grips with the fact that they have no idea what they are talking about and are basically completely irrational start to finish). I am pretty sure that I can live with your religion, whatever that might be. Plus, you do not even know what my "belief" is... so how do you know you can live with it? Just because I asked you to clarify a comment you made about some "Church" does not mean I can't live with your belief... I just want to better understand whatever it was you were trying to say, since the way you stated it was very ambiguous. Or perhaps they are just done with discussing something that to their minds is no longer worth the effort. You do come across as preaching. You sound angry and defensive. But I think it unnerves "you" to no end when someone doesn't articulate how or why they think the way they do. This is something you need to work on, not them. Ask yourself "why it bothers you so"? Nameless once again stated what I was thinking "Or perhaps they are just done with discussing something that to their minds is no longer worth the effort." In other words, let's agree to disagree and finish it there, okay. But I think it unnerves "you" to know end when someone doesn't articulate how or why they think the way they do. This is something you need to work on, not them. Ask yourself "why it bothers you so"? It doesn't bother me at all. No skin off my nose. The fact is, I enjoy the opportunity to point out the bigotry and hate speech that people spew against religions every day when they really and truly know nothing at all about the subject upon which they are pretending to be informed. It is like a big, fat slow pitch right down the middle of the strike zone. People say I come across as "preachy"? Baloney! I come across as direct and honest. And dishonest people who think it is their god given right to talk down a religion they know nothing about really hate it when someone knowledgeable challenges their cherished falsehoods. I can't remember the last time anyone who repeats these lies ever paused and thought for a moment and said, "Gee Robert, really? I did not know that... thanks for letting me know". Why is that? I think it is because people do not want to know the truth. Mostly they want to know who it is okay to hate. Why is it okay for people to preach hate speech about religion all day long every day - day after day, but when someone challenges them and corrects their error it is "preaching"? Why is that? I do not go to church and have not been a member of any Christian Church for over 40 years. But I am astounded at the social acceptance and even encouragement of total ignorance and outright lies that gets repeated on a regular basis. It really is mind boggling. People act like they have some god given right to repeat blatant outright lies and total nonsense unchallenged. Once again Robert, you need to ask yourself "why does this bother you do"? People are entitled to their own opinions and unless they have died and came back with irrefutable proof, they will continue to until their last dying breath. My statements above were based on what I learned and perceive as truth. Until I see differently, I shall stay with those beliefs. They have nothing to do with "hate" or "love". They are simply my own observations. You can only win a challenge with someone that is willing to accept the challenge in the first place. You don't need to respond to this. Just think about it for a minute. Now let's return to the OP's question and stop hi-jacking his thread. I apologize for this fatfooty. Once again, Lumaza, just because I like to eat ice cream doesn't mean that ice cream bothers me. Seizing the opportunity to point out "anti-religion bigotry and hate speech" is an activity that I enjoy. You made an observation about the "Church" and how it created the idea of "Satan" as a fear mechanism to control people. "My intuition has always told me that Satan is a control mechanism that was created by the Church to control others by "fear"
I asked you to clarify "Church" and you went off all cockeyed from that point on. If you would please... what "church" were you referring to? You made an observation about the "Church" and how it created the idea of "Satan" as a fear mechanism to control people. I asked you to clarify "Church" and you went off all cockeyed from that point on. If you would please... what "church" were you referring to?